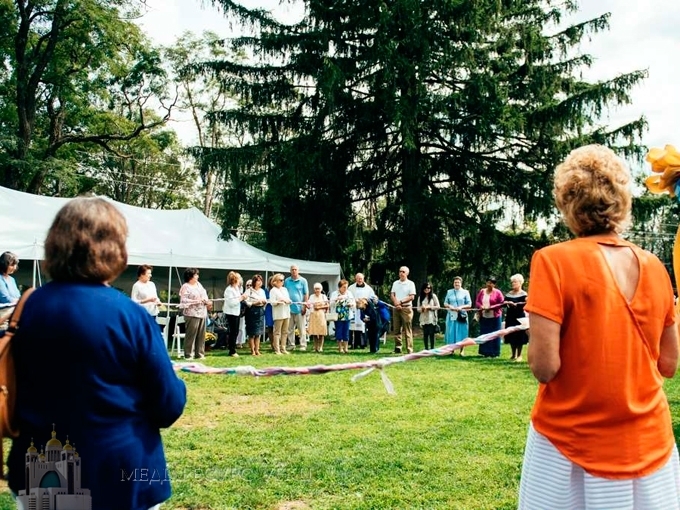 Nearly 400 people made the Ukrainian Catholic Eparchy of Philadelphia’s pilgrimage to the little church Aug. 27 for the second annual “A Call to Prayer” on the eve of the Dormition of the Holy Mother of God. 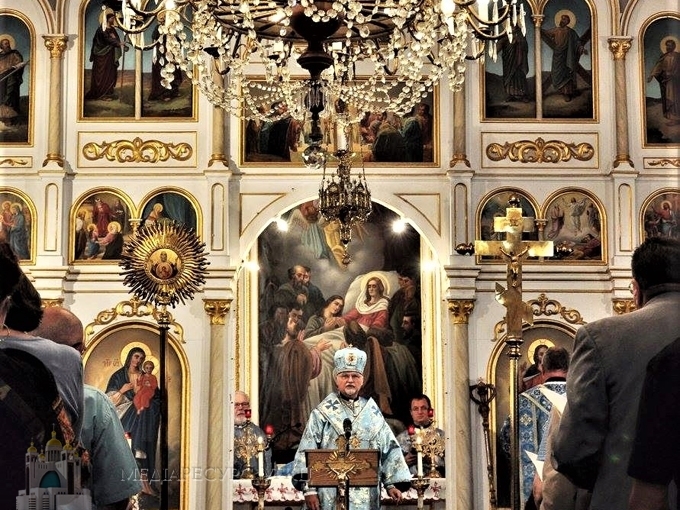 The pilgrimage was the second since Major Archbishop Sviatoslav Shevchuk of Kiev-Halych, Ukraine, the leader of more than 5 million Ukrainian Catholics around the globe, visited the church Nov. 10, 2015. 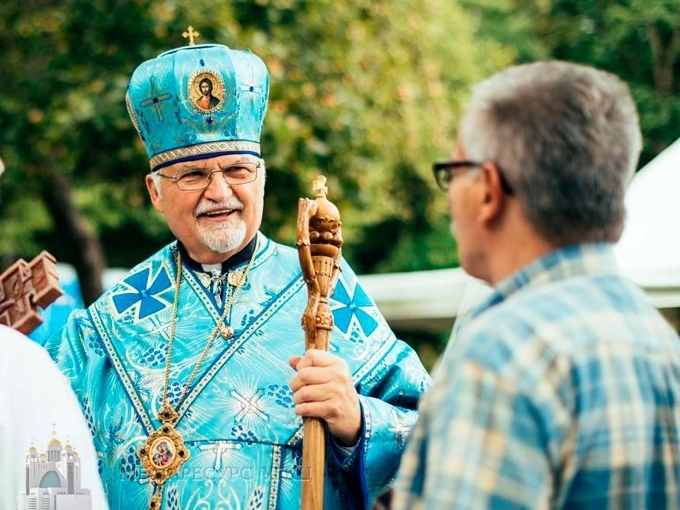 He was accompanied by Archbishop Stefan Soroka of Philadelphia, metropolitan of Ukrainian Catholics in the United States, and Father Michael Hutsko, pastor of the parish. 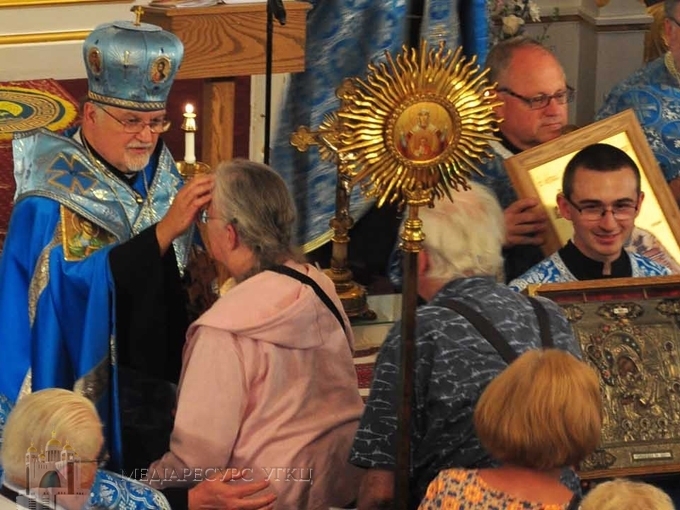 Making the trip from Philadelphia for the second year was Eugene Borys and his family, who received individual blessings from Archbishop Soroka. 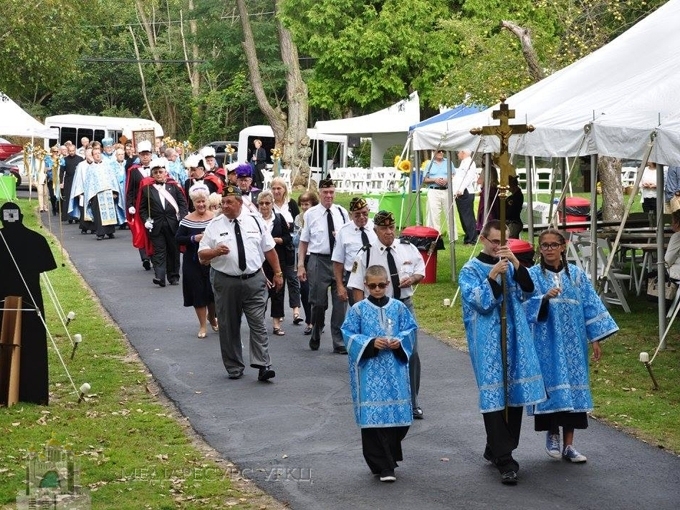 Borys’ son is a seminarian and joined the pilgrimage with five seminarians from St. Josaphat Ukrainian Catholic Seminary in Washington.